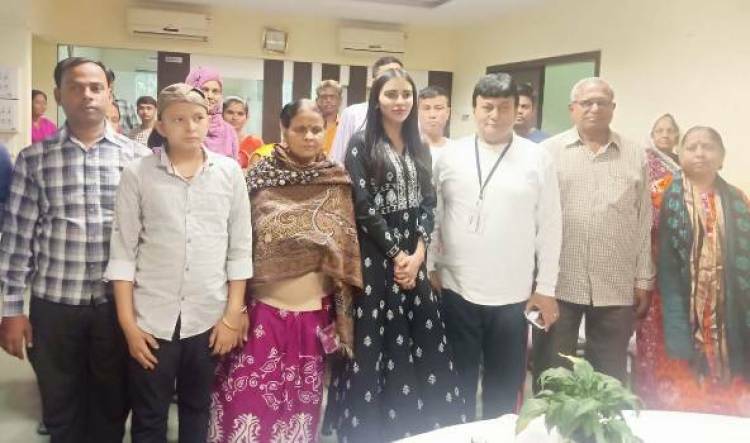 Mumbai, 7th February 2019: On the occasion of World Cancer Day, well-known theatre actor and online video sensation Ananditaa, visited the cancer patient’s facility in Mumbai, the Police Cancer guest house which was built for the accommodation of the police and their relatives undergoing treatment for cancer. The Cancer facility is named after Shri Hari Om Bhatia, late father of actor Akshay Kumar and managed by Konark Cancer Foundation. The upcoming actor with multiple projects soon to launch, spent quality time with the patients while interacting with the elderly patients and played a few games with children at the facility. Ananditaa being an extrovert has always shown keen interest in people and their stories. Empathy coming naturally to this versatile actor, she wished the patients and their families, love and strength for the tedious battle against cancer. Konark Cancer Foundation is a professionally run, integrator non- governmental organization (NGO) with sharp focus in the field of providing logistical, emotional and financial support to the underprivileged cancer patients. They act as an aggregator and facilitator directed towards the sole aim of patient support designed specifically for the rural out-station patients. Their mission is to be a one-stop support point and create a network for cancer patients and their care givers.